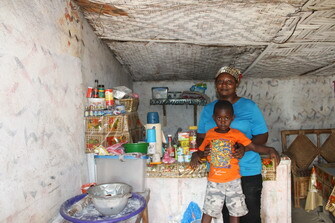 Provision of Hope continues to empower single mothers with small business loans in order to improve their conditions. Cynthia Boimah and her son Jackson came from the Buduburam Refugee camp in 2011. 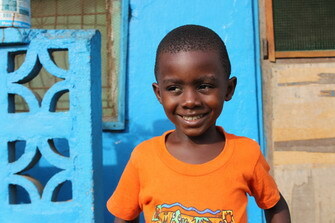 They have managed to resettle in Liberia with minimal assistance. 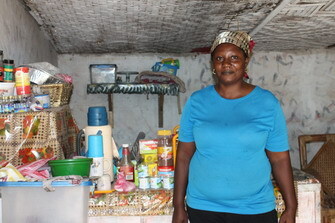 Cynthia has shown that she can run a profitable business. She does have business skills and is not afraid of hard work. Right now she is asking for a micro loan of $300 to boost her baking business. She needs more supplies. Before noon, she is already out of baked goods. She runs out of flour. Her cafe rent is due and she does not want to lose her place! 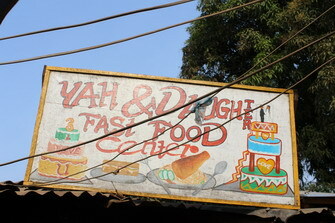 This is the only cafe in the area and it is in an ideal location close to a school where children buy baked goods on their way to school. She has the market but needs more supplies. Cynthia is needing flour and other baking supplies. She also needs chairs for her customers to sit on. 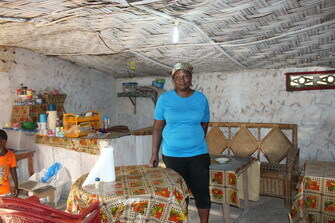 Cynthia keeps up her room rent with the profits from her little business. She also feeds her son.